The Monvid.io platform is a decentralized community network which uses the blockchain technology to cut-pass restrictions, filters, and censorship to deliver a video streaming service platform that is easy to use and advert free. The founders wanted to give people the experience of watching their favorite videos without any restrictions irrespective of where they are. Their vision was to use the blockchain technology. Completely pursue scalable video streaming platform for producer and the consumer. The next generation of decentralized and proxied video streaming platform for reducing your costs and saving you time. Monvid.io at moved understand all the problems and issues one can have in a lot of countries for watching their TV-Programs, Movies, and Videos just because the county has a lot of censorship or the TV-providers do not support the country for showing the contents in. 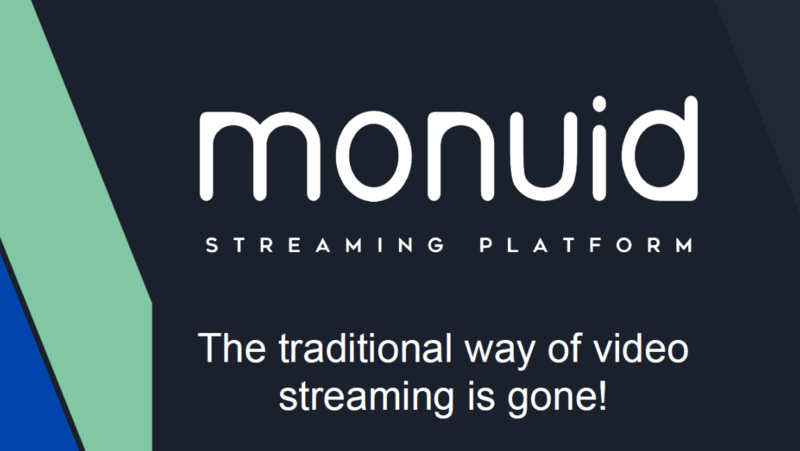 This is why this project has started.The monvid platform allows users to be able to bypass any restrictions that would have hindered it from streaming videos on the normal centralized platform. Visualize this scenario; you have already paid a subscription to a streaming site, but you are unable to access certain content since it is not available in your location. So, in addition to paying exorbitant fees for the subscription, you must also deal with the fact that you cannot access everything you want. Monvid has created the ultimate video streaming site to solve all these problems. Find out more information here below. Monvid is entering a market segment with some of the strongest competitors, including Amazon Prime, Netflix and YouTube among others. Nevertheless, the company still believes that they have something unique to offer and they welcome the challenge of facing these established competitors. The fact that Monvid offers more freedom and access without restrictions is actually quite helpful as these are issues that other competitors have trouble providing their clients. So, people seeking diversity and access to a broader range of content could end up moving to Monvid. What Are The Benefits Of Using Monvid? Cheap – Content creators will be paid based on their output, thus eliminating the need for subscription costs. Improved privacy – Monvid is built on the blockchain technology which ensures that every user’s data is always safe and also provide encrypted data transfers. Monvid plans to use two distinct methods for providing reliable, unlimited and unrestricted video streaming, which are peer-to-peer sharing and proxy streaming. Its aim is to bypass all censorships and restrictions placed on video content all over the world. 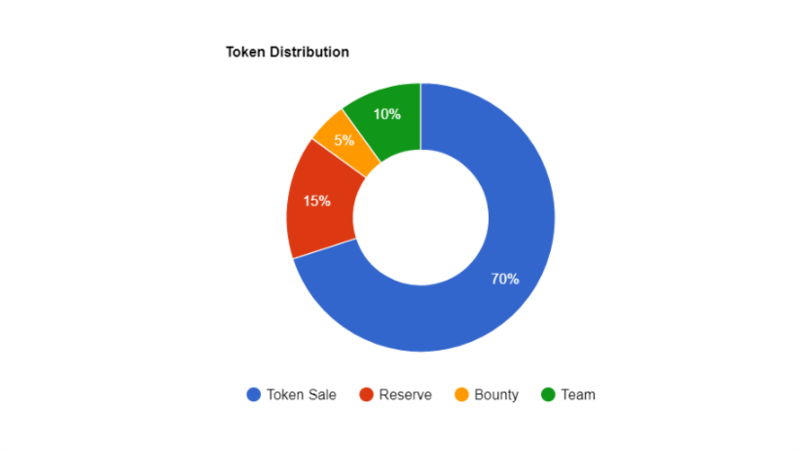 By harnessing the decentralized nature of blockchain technology, Monvid will be able to provide uses with significantly better services than what is available on the market today. Under the P2P sharing platform, content creators will have an opportunity to easily share their videos with the community for free. Community members can then reward the creators with MVID tokens. Creators with high quality content will be able to earn more token rewards on the Monvid platform. The advantage of P2P streaming is that it is flexible and transparent. One significant wain in which internet access is restricted across the world is through geo-blocking, whereby access is limited to people within a certain geographical location. Monvid enables its users to easily bypass these geographical restrictions without having to compromise on reduced internet speed as is usually the case when using a VPN. Furthermore, Monvid’s platform is secure and fast, thus providing a more enjoyable viewing experience. The application of blockchain in video streaming shows a lot of promise, especially regarding the delivery of cheap and unrestricted content to users. Monvid is a truly transformative project and it should help people access video streaming services from anywhere in the world. MVID is the name of Token we are using in Smart Contract for crowdfunding. The fix price of MVID during the ICO is only 0.00005 ETH, that equals to $0.03 with the current rate. You can get extra Bonus during the sale. 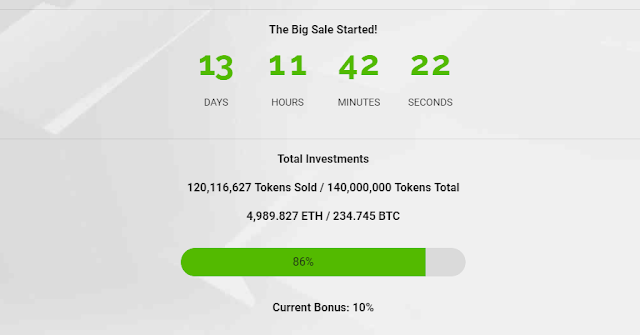 The bonus rate vary and it begins from 100% from the first day of sale. The Pre-Sale starts from 15th April and will be ended 30th April. The exact dates for the Main-Sale will be announced later. Total supply will be determined after ICO is completed, however, per our policy, we only are allowed to generate 200.000.000 MVID during the sale.